I'm surprised a thread hasn't been started for this already. These have finally made their way to the USA! I have seen these at both Walmart and Barnes & Noble for $10.99 each. 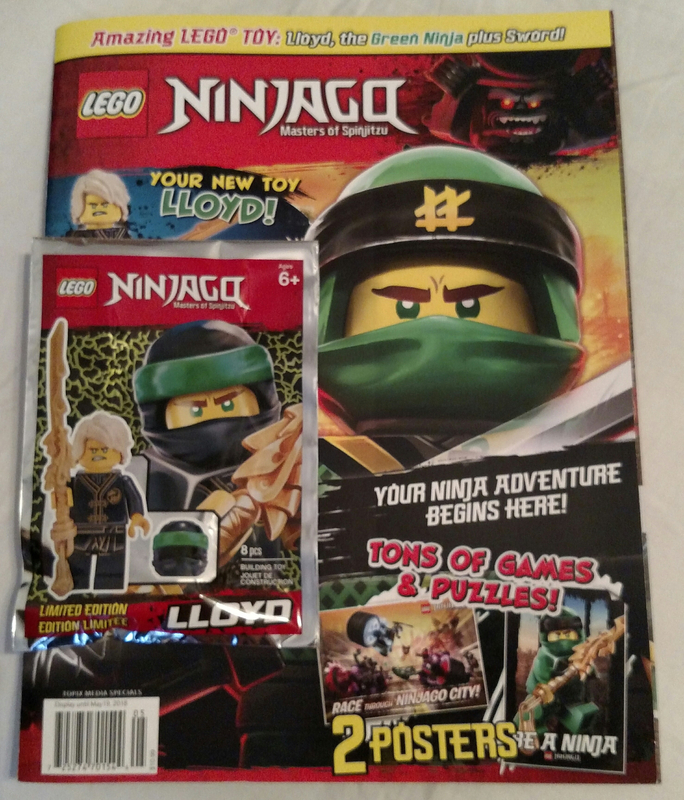 According to the magazines, Ninjago is issue #1 and Friends is issue #3. I don't know what issue #2 is yet. In the back, both advertise an upcoming City issue next month. I don't think the Friends set is in the database yet. Where are the Star Wars ones? So far those are the only issues as per their site. The Friends one is the same as the current one (well, until tomorrow) in the UK, albeit with a simplified cover. 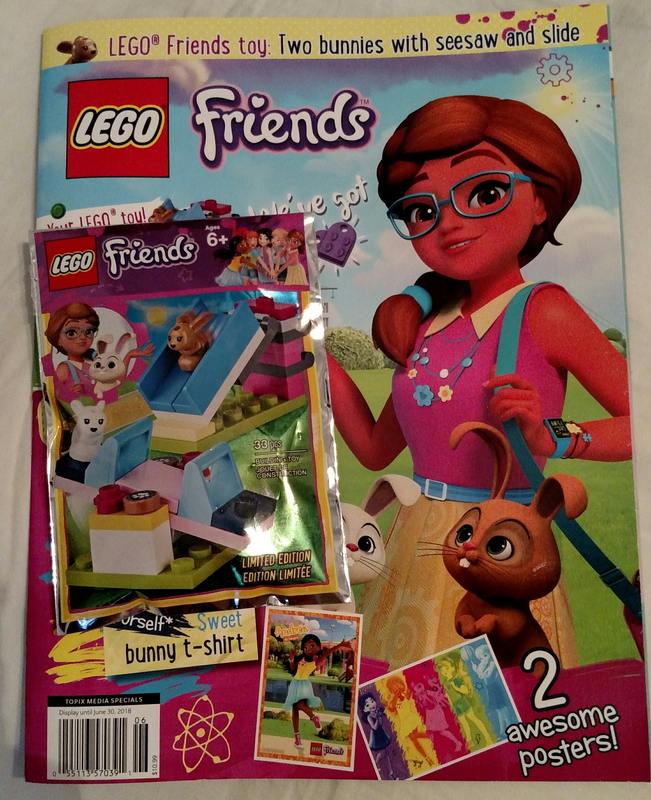 The Friends magazine is the first set to have the baby bunny (part 19442) in something other than white (light nougat??). The non-mini fig Star Wars ones? 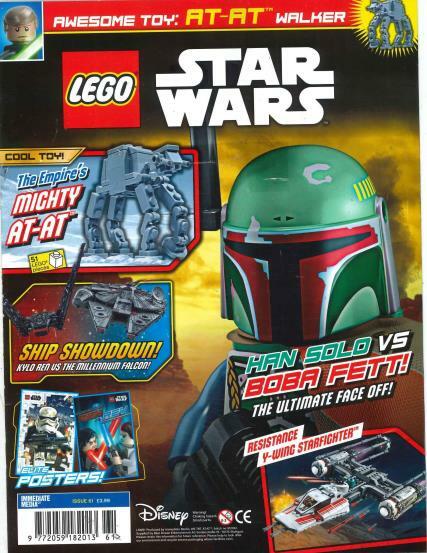 The same company puts out Star wars magazines just like these overseas. I would be surprised if the Star Wars ones didn't show up eventually. Yeah, one of the Friends magazine sets from last year is the only one to have an unprinted magenta head for monofig collectors. Yeah. I should have mentioned I knew. It's just that these SW mag packs almost never include minifigs. I wonder if part of the reason for that might be that it's harder to make the figs in a licensed theme different from the ones in sets than in a non-licensed theme? After all, these mags never seem to have unique prints or recolors. 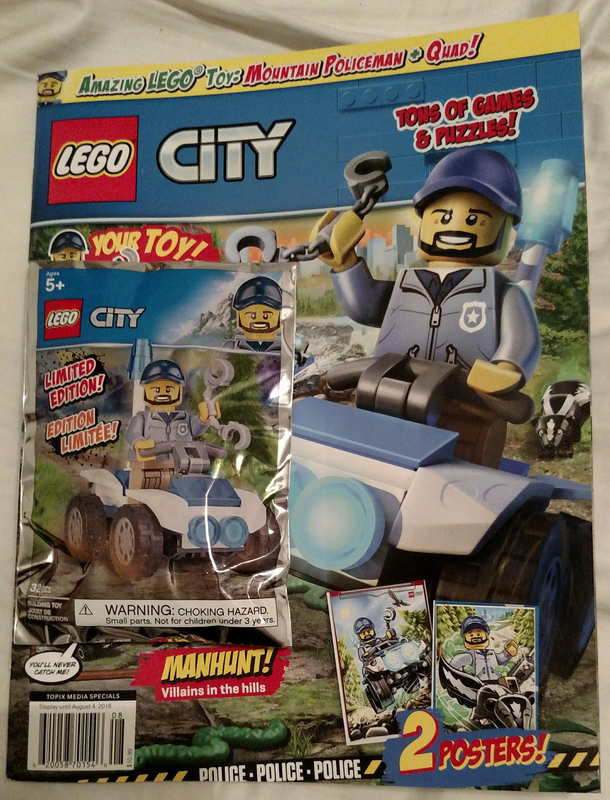 In the Ninjago mags, LEGO often varies the figures from the ones in sets by mixing and matching parts or including unprinted versions of ordinarily printed parts. 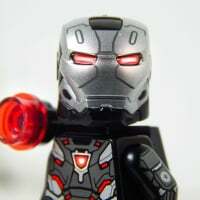 But in a licensed theme LEGO can't just make up new character designs or costumes that way. 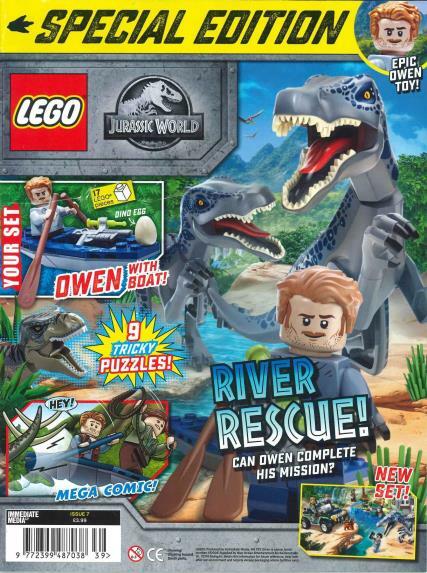 what I really want to know is if there's some way to subscribe to the LEGO magazines, or if you just have to go out and find them in the wild. Doesn't look like there's a subscription option however. So it turns out issue #2 is the City one which is out now. There is no preview in the back of this issue for any upcoming ones. 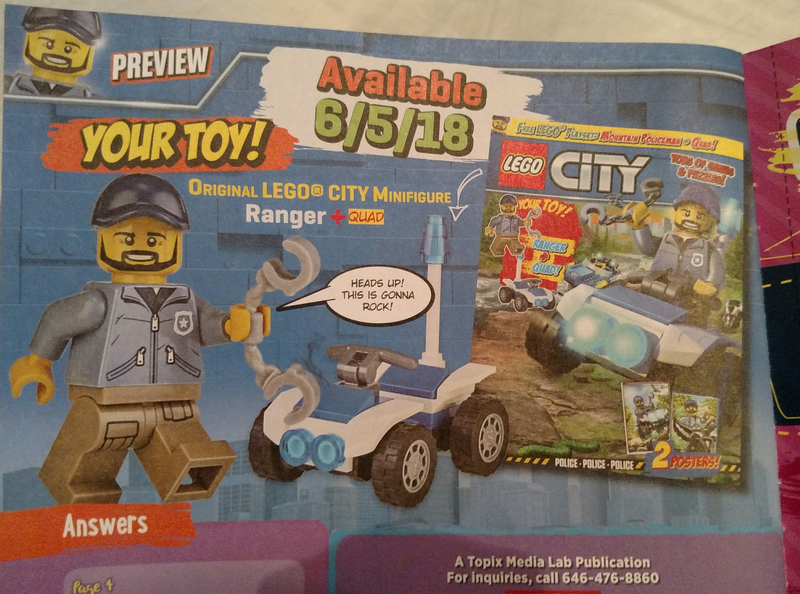 That looks like a Billy Mays (RIP) minifigure.